“Oral History: Bill Hellwig,” braddockheritage.org/, accessed April 24, 2019, http://braddockheritage.org/items/show/112. Bill Hellwig's family moved to Fairfax County in 1952. His father, a civil engineer, conducted studies for developers on the feasibility of land tracts for development, including the preliminary engineering work for most of Springfield. 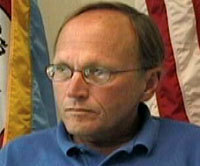 Bill Hellwig joined the Park Authority after college graduation and by 2005 had worked for the Authority for 33 years. He discusses the development of the parks and their programs.